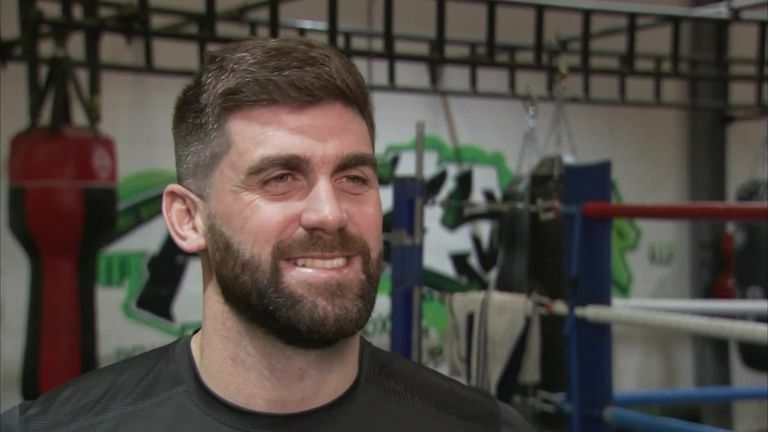 Rocky Fielding is confident Saul 'Canelo' Alvarez will not ruin his "unbelievable" dream and win their world title showdown at Madison Square Garden. The WBA super-middleweight champion will take on the Mexican superstar at the iconic New York venue, on December 15, live on Sky Sports. Fielding admits he was "shocked" when the fight was confirmed on Friday evening and although he did not have to think about accepting the challenge, the Stockbridge fighter is ready to upset the odds and take his title back to Merseyside. "Yes, it's Canelo and yes, it's at Madison Square Garden but I wouldn't take it if I didn't think I could beat him," he exclusively told Sky Sports. "He's moving up from middleweight, I am big super-middleweight, I've got the height and the reach so I am up against a tough fighter, one of the elite fighters, but I've got to be in it to win it. "I am going there confident of winning it and I'm confident I can win it, I'm not going there just because it's Canelo at Madison Square Garden. I am going there to defend my title. "I want to keep my title. I've worked towards winning it, now I am working on defending it, regardless of who it's against and where. I want to defend it as much as possible and this is just the first." Fielding has revealed he was told 'Canelo' wanted to face him days before promoter Eddie Hearn finally confirmed it, but was kept in the dark until then. 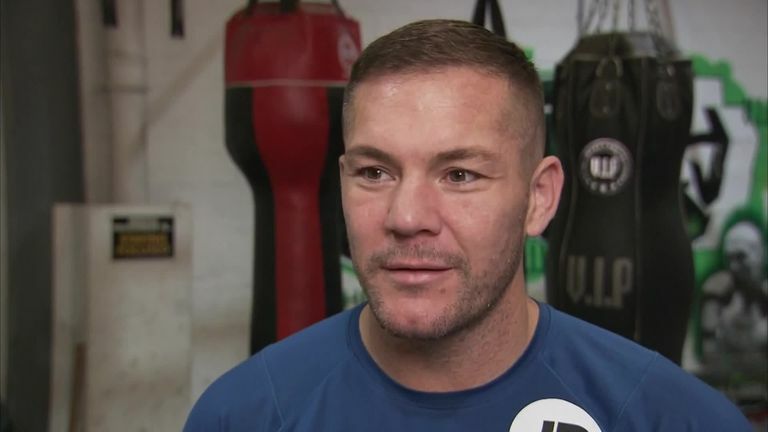 Trainer Jamie Moore was the first to tell him it could happen but the 31-year-old had no idea he would be following in the footsteps of Muhammad Ali, Mike Tyson, Sugar Ray Leonard and Oscar De La Hoya and box at the Manhattan venue. "The Wednesday before, I was on night feed with our new-born and at about 9.30pm, Jamie asked me if it was OK to chat, I said yes and he just said 'Canelo wants to fight you'," Fielding said. "I just said, 'yeah mate, sound. Let's do it'. I went down the gym early the next day and him and Nigel Travis had a little smirk on their faces, but they had kept it quiet and they just wanted to make sure I would take it. Of course I would. "Before money and everything else was mentioned, I said of course I'll fight Canelo. I didn't know where it was, or what was going on but the next day, Eddie got in touch, so I asked him where it was. "He just said December 15, Madison Square Garden. I just said 'you're having a laugh aren't you?'. "I've not really dreamed about just fighting Canelo but to fight at Madison Square Garden is an absolute dream. It's what I'm in the game for, so I took it straight away. "I'm fighting one of the best fighters on the planet, one of the biggest stars in boxing and he's me talking him on. "It just got better and better. It makes good business sense as well. I've got two little kids now and this is a life-changing opportunity, so of course I was going to take it. "Fighting Canelo is one thing but at Madison Square Garden around Christmas time, it doesn't get any better than that. It's unbelievable." Watch Lewis Ritson's European title fight against Francesco Patera in Newcastle, with Joshua Buatsi and David Allen also on the bill at the Metro Radio Arena, Saturday, from 7pm on Sky Sports Action.